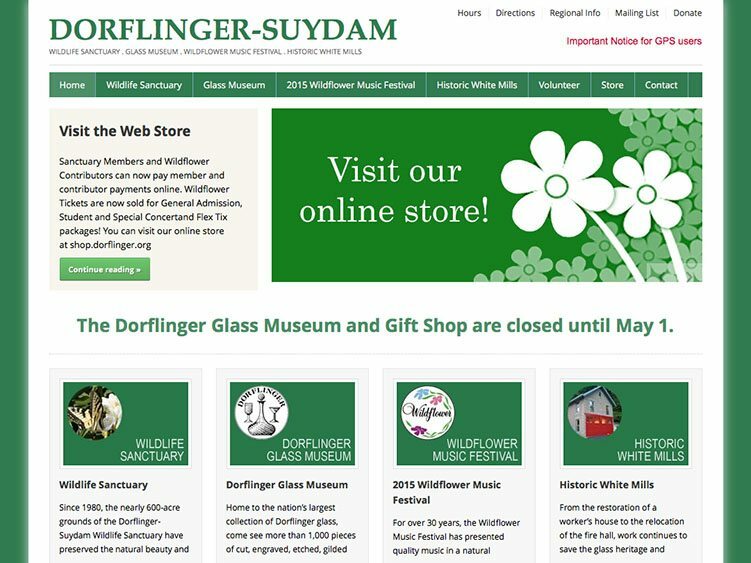 Dorflinger-Suydam is home to the Dorflinger-Suydam Wildlife Sanctuary, the Dorflinger Glass Museum, Wildflower Music Festival, and Historic White Mills. After many years of using a custom created website by ExtraCheese, we set up and installed WordPress, migrated their content over, customized their theme and provide instructions to self-maintain. I still provide ongoing security and maintenance services.